Adam Marx, (www.linkedin.com/in/adampmarx)director of reality shows on most of the major networks and owner of MK3 Creative finds directors make a lot of mistakes directing talking head videos. Having directed work for countless Fortune 100 companies, Adam has a few tips to share in creating a talking head video that tells a story successfully. Think about your interview length and video length, what’s the ratio? Many people conduct interviews that are much longer than they need to be for the length of the final video. For a 2 minute video, I recommend the interviews be under 20 minutes each. The key to a successful, and precise interview, is a call or meeting with the subject before s/he is on camera where you can do the content fishing. This way, you and your interviewee will go into shoot day feeling prepared. Often we get to post-production wishing they had more shots of the interview subject doing what they are talking about. This is where b-roll, or footage that supports what is being said, is crucial.It could be as simple as the person smiling or a shot of someone working at their desk. I recommend writing notes on what b-roll footage you might need right after the interview so you can match it to the story in the best way possible. Sometimes we find the subject doesn’t state the challenge or conflict concisely. It’s very important to make sure you have clear, concise soundbites that help propel that part of the story. I like to break the questions of the conflict into parts. I tend to get better soundbites that way. Sometimes the interviewee can get tongue-tied or nervous which is will certainly come across on-screen and prevent them from sharing the most intriguing parts of their story. The best way to put them at ease is to talk to them a day or two before they are scheduled to be on camera to create a bond and find common interests. Also, as soon as they walk through the door to the interview room, warm them up. Have fun, joke around, talk about the things you have in common and get them to tell you stories before rolling. 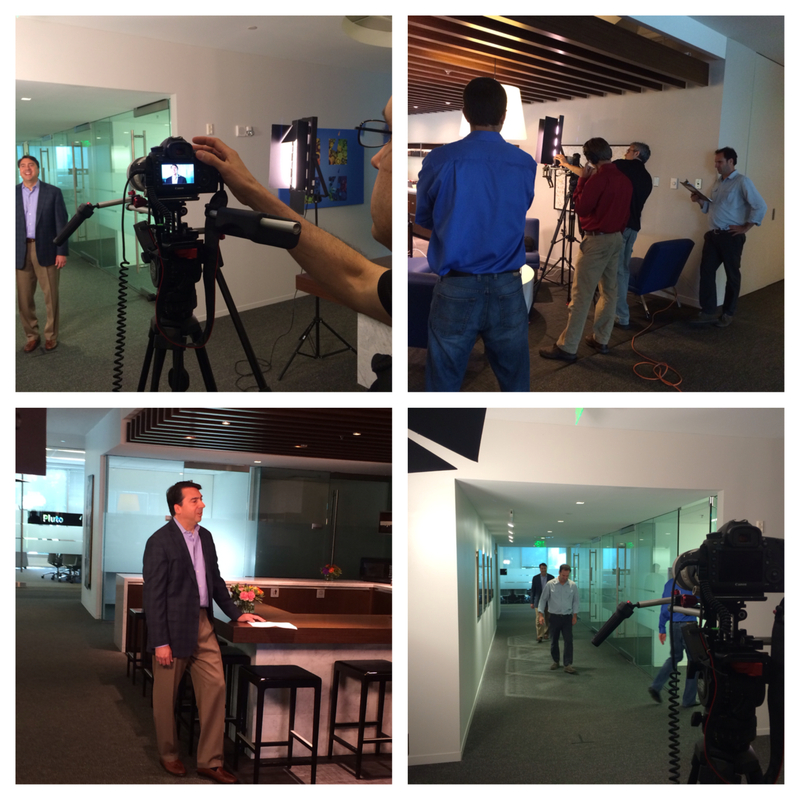 Some of the MK3 team were in Waltham, MA last week to help shoot a new customer welcome video for Rocket Software.